Getoffyourduff they look so adorable!!!!!!!!!!! Yes, she is wearing a blue skirt. Her outfit is a bunch of different elements that I bought specifically for this picture. Her skirt came from That's Sew Amanda, the shirt is the Disneyland 60th Anniversary T-shirt only available at the Downtown Disney Build A Bear, and her bow is from the Diamond Celebration collection at Magical Ribbons. 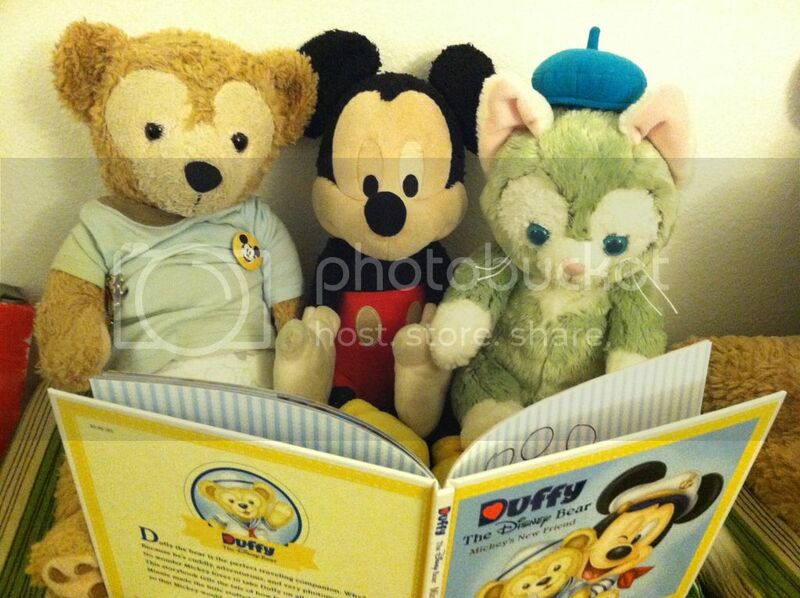 Duffy, of course, is wearing the official Disneyland 60th Anniversary costume that is patterned after Mickey Mouse's costume and looks exactly like the costume found on the stuffed 60th Anniversary Mickeys. And someone brought home some souveniers. I can't get photobucket to work on any of my browsers today. What else do y'all use? Testing, 1, 2, 3, let's see if this works. Last edited by JillT; 08-17-2015, 11:24 AM. Yay, tried imgur, whatever that means, but it's a new website that is working for me today. It's free. Anyway, so today I woke up and it was raining outside. Now it's 2 p.m. and it's still raining. 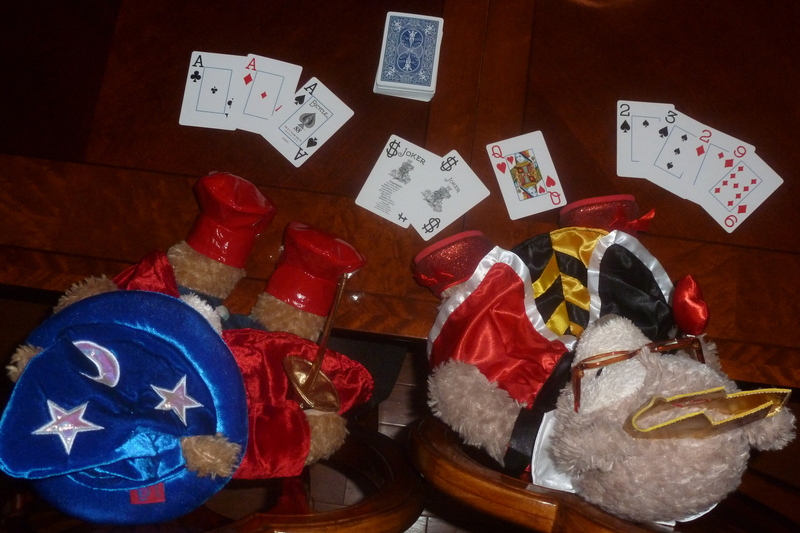 Da bears were playing poker at the dining room table. "I have a full house. 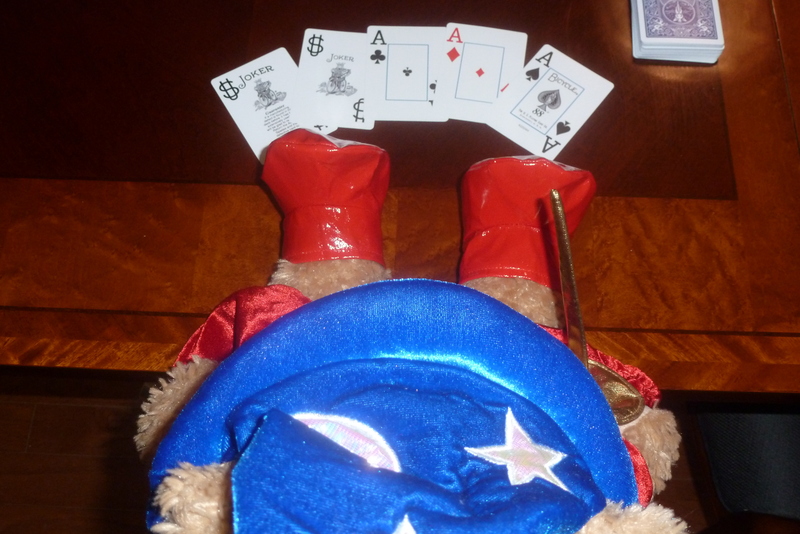 I win," said Duffy. 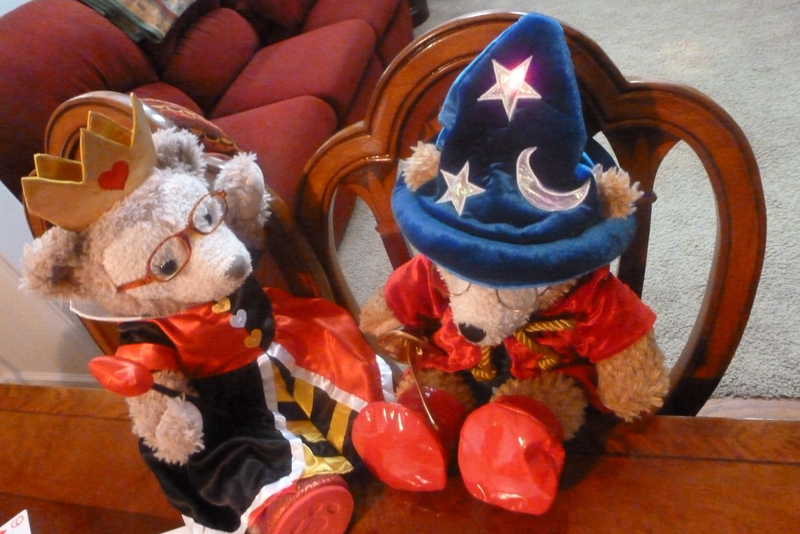 "I am dressed as the Queen of Hearts and I HAVE the Queen of Hearts," said Shellie May. 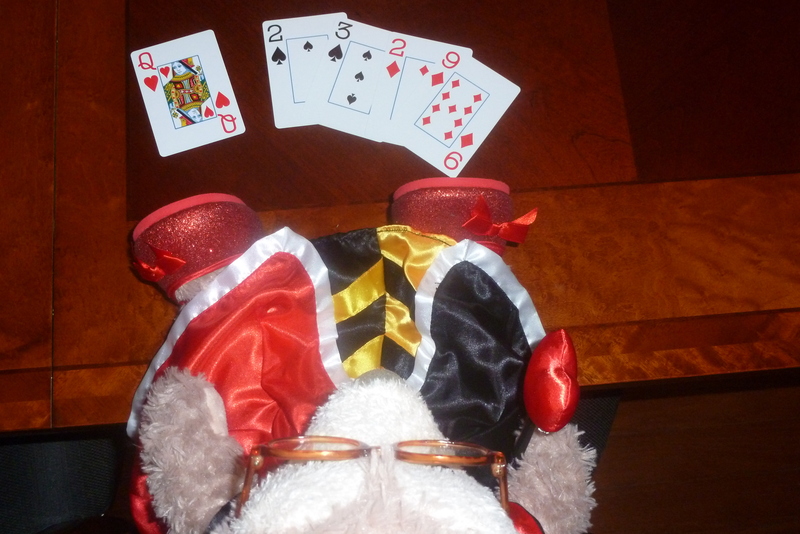 I didn't have the heart to tell Duffy that you are not supposed to use Jokers in Poker. "Okay, you win," acquiesced Shellie May. 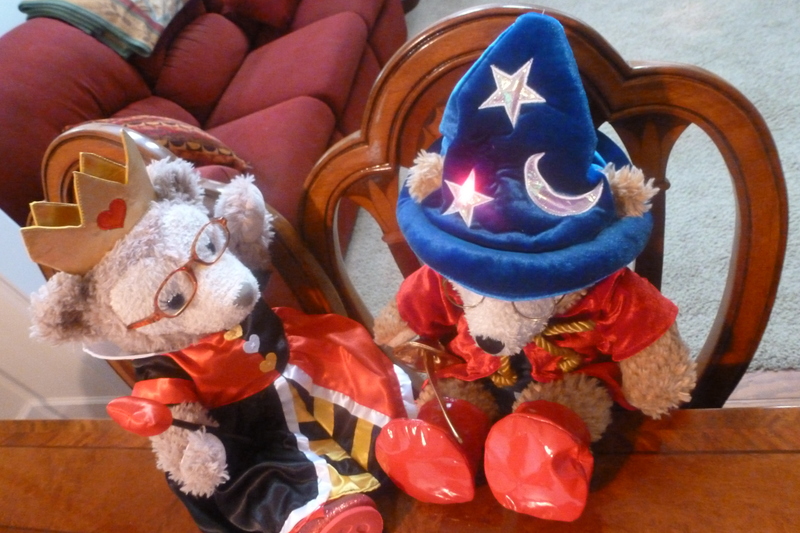 "Let me press the button on your wizard's hat and see if it still lights up," said Shellie May. "Sure, go ahead," said Duffy. "Yup. I don't know what I will do when the batteries die, because they can't be replaced. 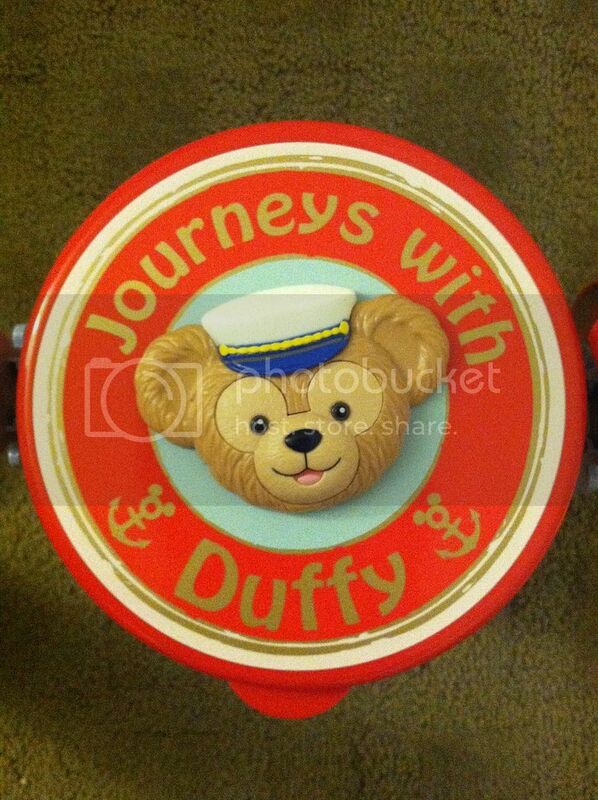 It's 2 1/2 years old already," Duffy told her. "You can still wear it," she said. "Here bears. Play this game. 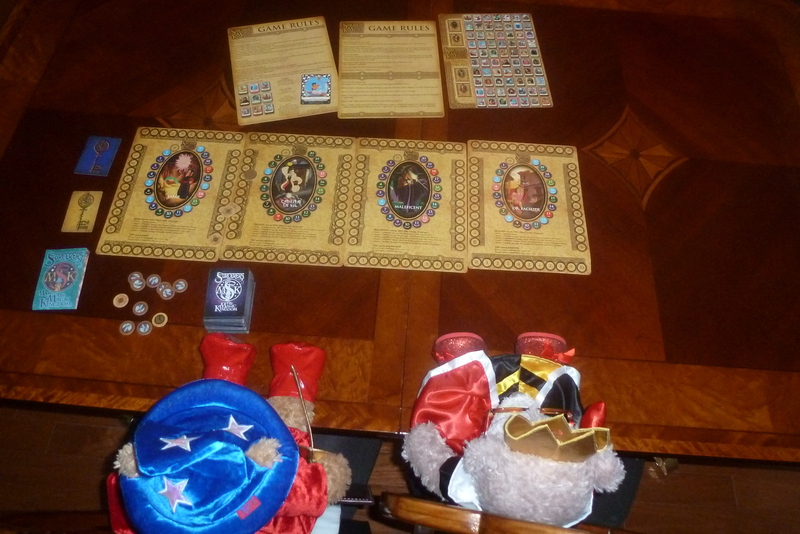 It's called 'Sorcerers of the Magic Kingdom' and it's a collectible card game from when I went to DisneyWorld in 2013." 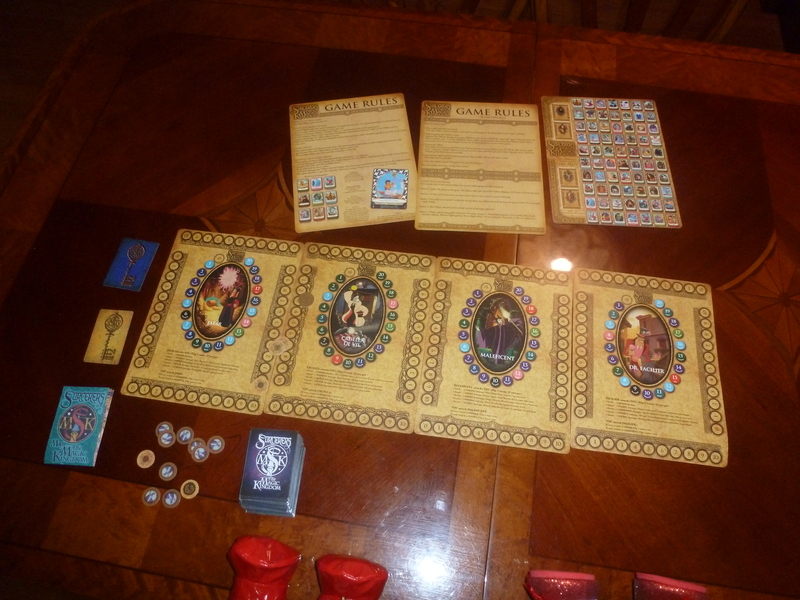 There are 4 collectible boards. I have them all. 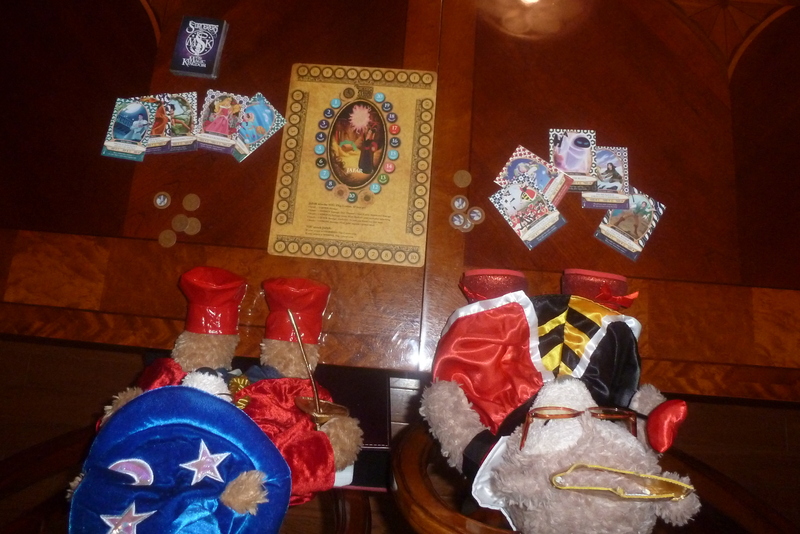 Duffy chose to play on the Jafar board. Shellie May was looking at the checklist. "We're missing some cards," she said. 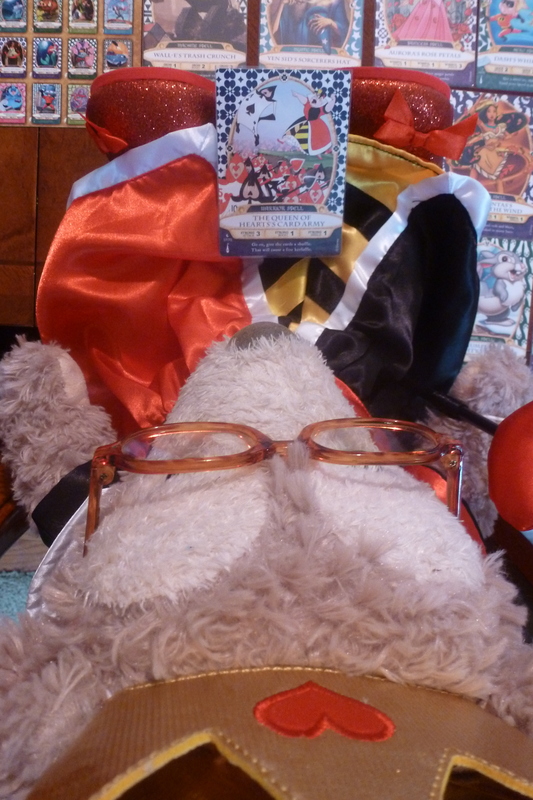 "It's a collectible card game, unlike a regular deck of cards. 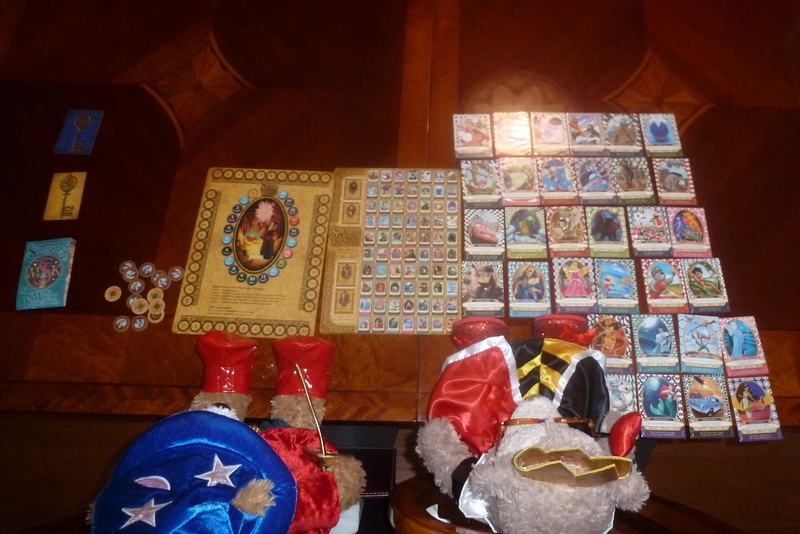 As long as you have 12 cards you can play this game," I told her. 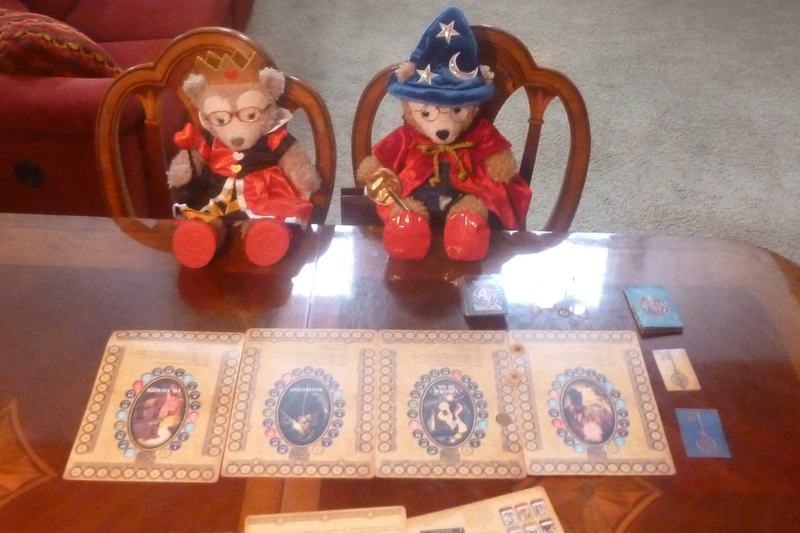 "This Queen of Hearts card is my favorite, well, today it is, anyway," she said, snatching that one up. It's a cooperative card game where you work together to defeat the villain. Since Jafar's power went down to zero thanks to the efforts of da bears, they won. Congratulations, MikkiMausu99! 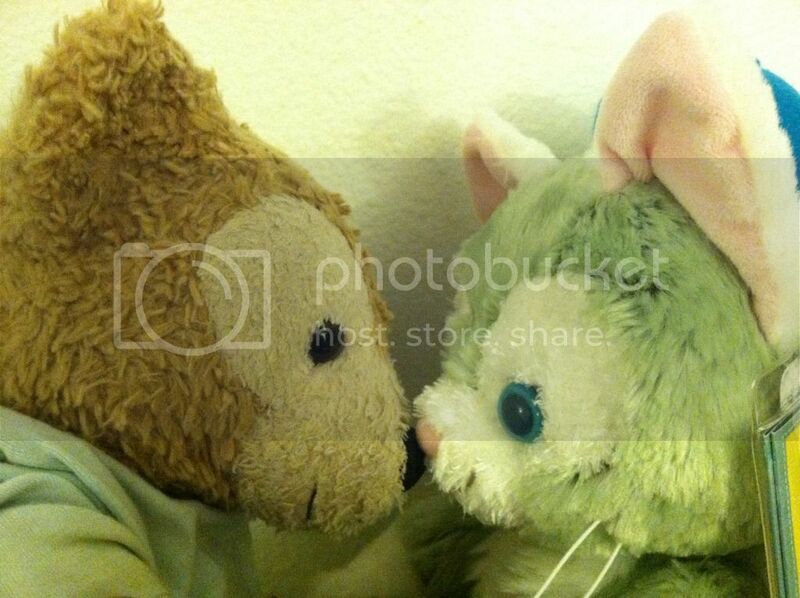 I hope to see more of your Gelatoni, and that popcorn bucket looks great! 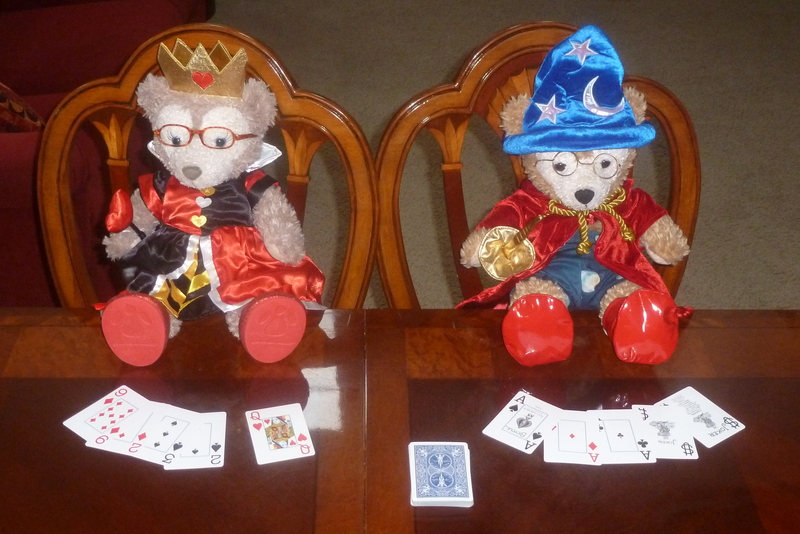 I'm glad your bears are having fun at home, JillT...what perfect costumes for card games. 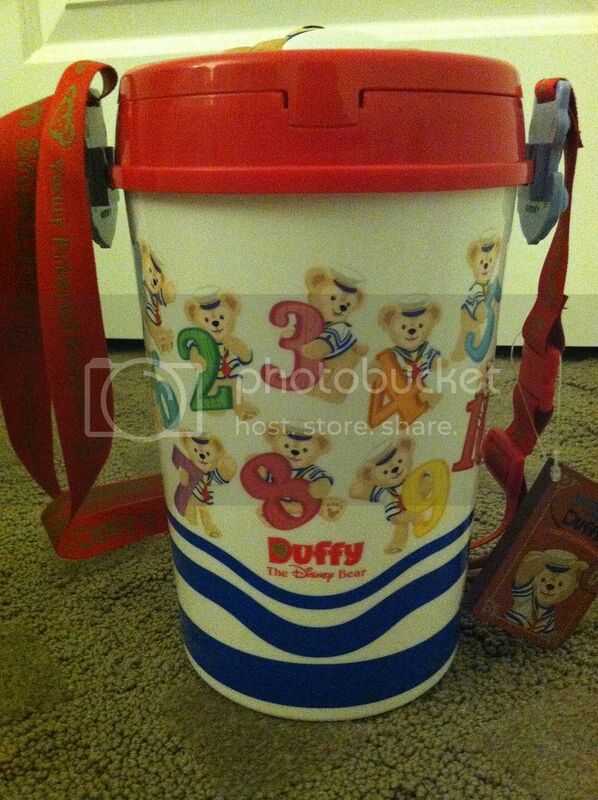 Nicely done, and I'm glad Duffy's magic hat still works! Here are a couple photos from the start of my trip to San Francisco! We were so lucky, we could see the Golden Gate Bridge from our room! Great photos, guys! Jill, the game looks fun. I never bought it, but wondered about it, thanks for explaining it. 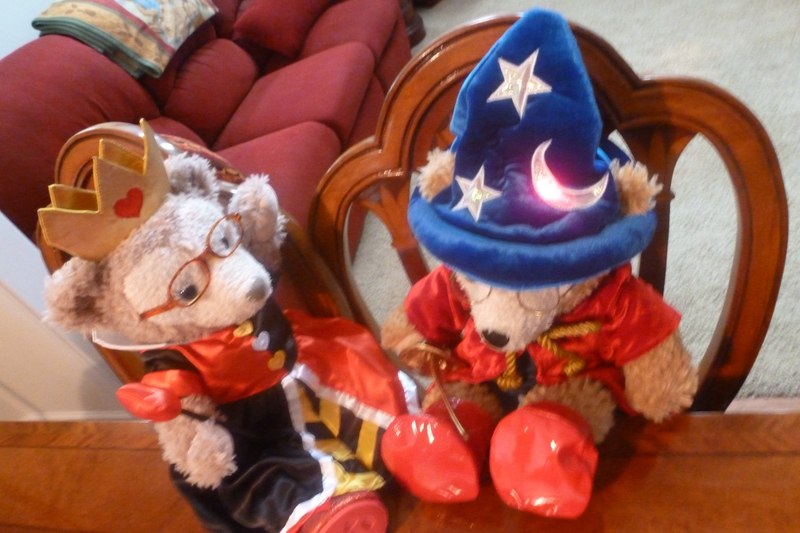 Plus, Duffy and ShellieMay sure know how to augment their play! Eeee-va, wow, that is weird art, LOL! Is it...Godzilla, or T-Rex in the old west? Duffy better run! If anything, from those horrible stripes! 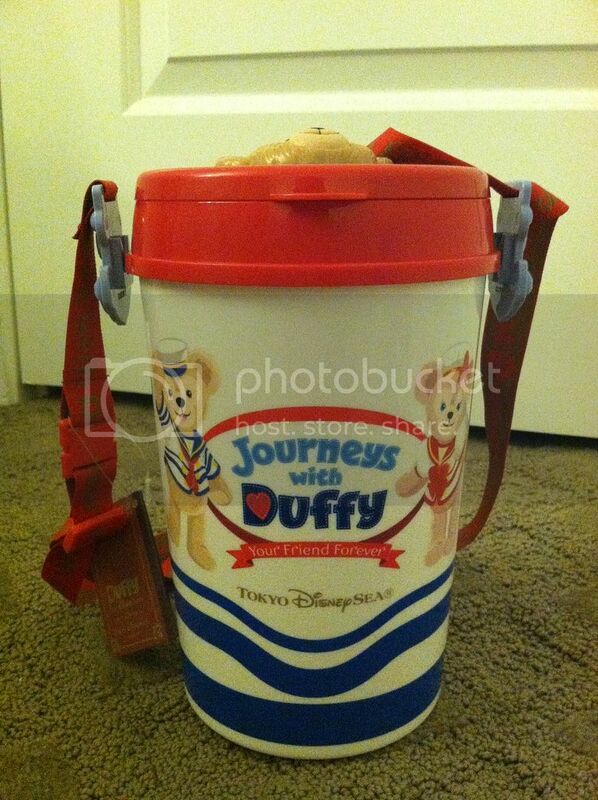 Took Duffy on a little "Journey" to California. Very nice nautical theming, Getoffyourduff! 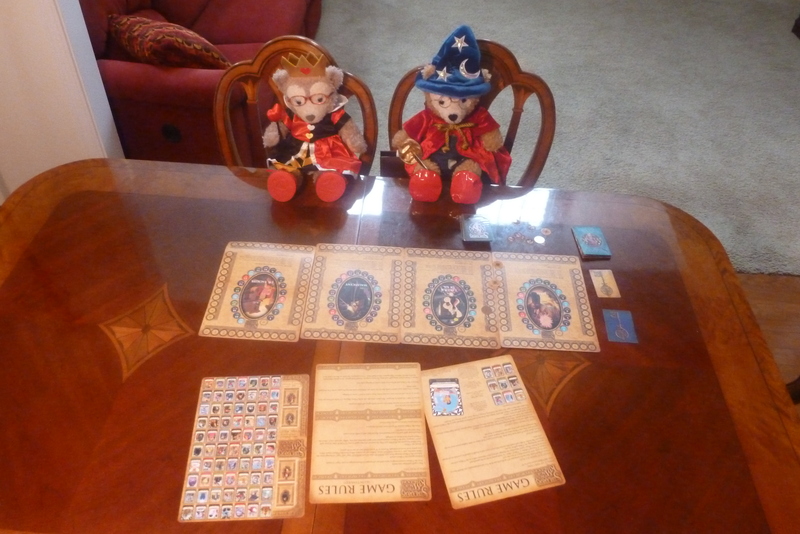 OMgoodness Getoffyourduff....you had an assistant to make sure your Duffy was safe in your record catch photo, right? Great shots! Life with Duffy & ShellieMay pointed out that this is Osaka Castle! This is the Peace Pagoda (in the rain). Life with Duffy & ShellieMay also pointed out that this was a bunraku puppet. Of course I did, Eeee-va. I had to be careful with the shot that I used because you could see my head in some of them. (That close to the water, I didn't trust anyone but me to hold him). Love the Tippy Blue photos. The world needs more of my favorite seagull. Duffy and his version of "Singing in the Rain"
It was so much fun playing with Duffy. He really did not want to give the umbrella back (was not sure he was going too LOL). The Duffy greeter came after us to ask where the umbrella was from. Duffy went to "have some cookies" and saw us near the store when he came back out. He snatched the umbrella again LOL. The umbrella was custom made. The official artwork for the "Year of Wishes" event now include Duffy & ShellieMay (on the upper right corner). 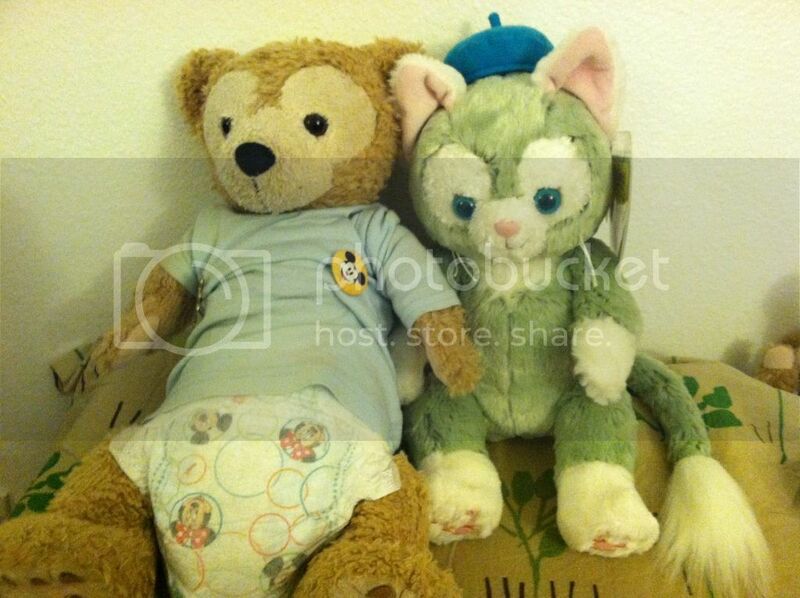 OMgoodness those outfits for Duffy and Shellie May are SO CUTE! Great catch, MikkiMausu99!